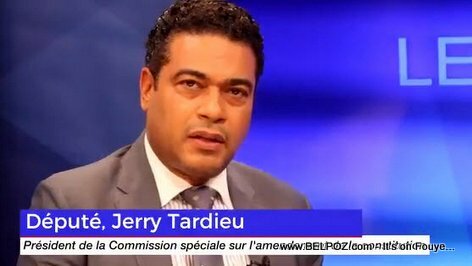 Here is a photo of Petionville Depute Jerry Tardieu, president of the special committee of reflection on the amendment of the Constitution (La commission spéciale de réflexion sur l'amendement de la Constitution). This commission will, for two years, meet with the actors of national life to convince some and to collect the concerns of others on the question of the amendment of the Constitution. The commission began working on March 30 2018.